The 2019 Camry and Highlander will both get Nightshade Special Edition packages that offer sporty styling with black accents. DALLAS, Nov. 2, 2018 /PRNewswire/ -- Toyota is preempting the earlier sunset associated with the end of Daylight Savings Time this weekend by turning down the lights on two new Nightshade Special Editions. 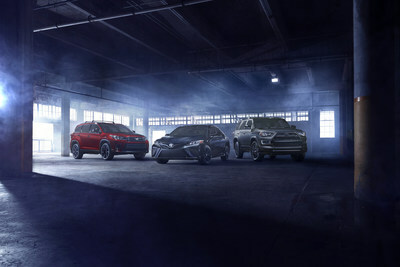 The 2019 Camry and Highlander will both get Nightshade Special Edition packages that offer sporty styling with black accents, guaranteed to stand out with the sun up or down. The Camry Nightshade Special Edition and the Highlander Nightshade Special Edition will both be on display at the Los Angeles Auto Show and be available for purchase in 2019.